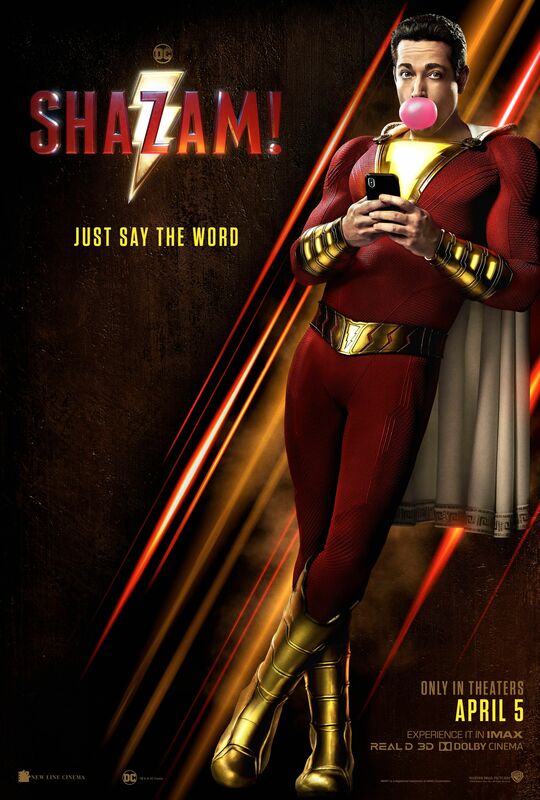 New Poster For ‘Shazam!” Has Arrived, Check It Out Inside! Are you ready for Shazam!? Warner Bros. just released a new poster for the superhero flick, which stars Zachary Levi, Mark Strong and Djimon Hounsou. It’s clear Warner Bros. is trying to keep up with the fun atmosphere Marvel has created for their superhero films. Warner Bros. was criticized early for being too dark. It looks like they have listened to their fans. This Shazam! film looks like it’s going to be highly entertaining and I think Levi is the perfect actor for the role. His time on ‘Chuck’ prepared him for this. No doubt. Shazam! will hit theaters April 5, 2019.